Save all the hassle, packing and preparing your boat, trailer and car, Plus all the cooking and sleeping gear. Sure its great fun and always an adventure. Live-wire” for your next unprepared adventure. Designed Boat hire for your Private group booking. 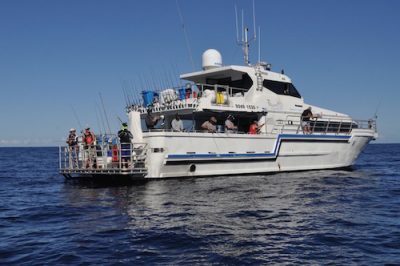 We drive the boat, take you to the fishing spots, put you on the nicest dive sites and take you for an Experience though out the Houtman islands, trawling and fishing along the way. 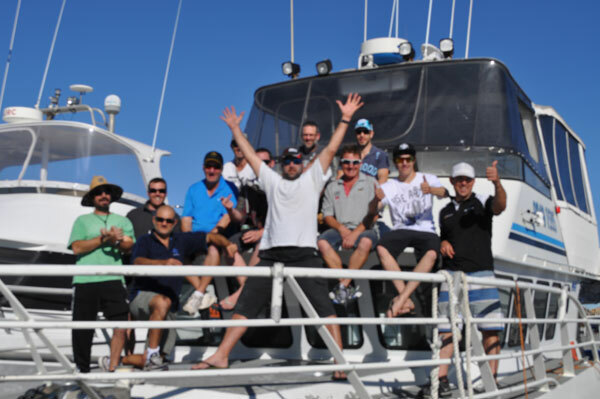 The crew help you fish, cut up the bait, help you with your rods, reels and gear, so you have the perfect opportunity to catch your prize fish. 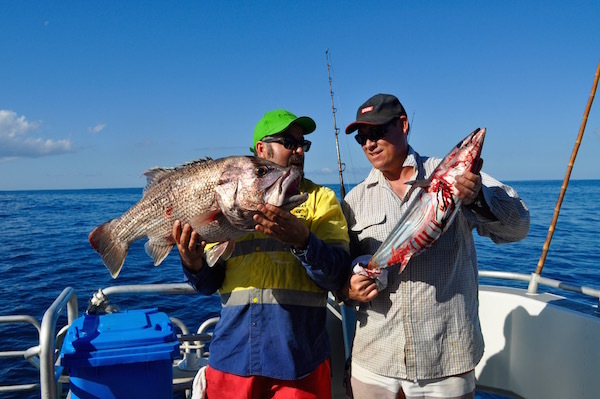 the crew fillet pac and krovac your catch, which is chilled down and frozen, ready for you to pac in your esky for the journey home Up to 10 kgs of frozen fish fillets may be taken home each. Rods , bait and tackle are supplied, but you are welcome to bring your special rod. 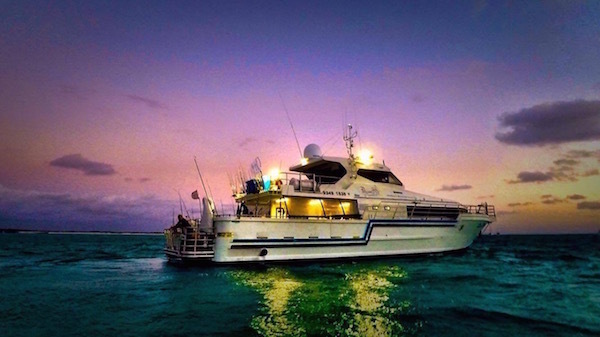 The pelican is the boat for your next adventure holiday! Air compressor for air fills and spare scuba tanks on board.